Today, we completed an impulse that started yesterday and then began to rally. Both counts are still valid. 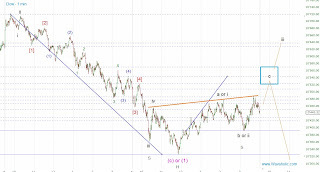 If today's low completed wave (i), wave (ii) should retrace about 50-62 %. 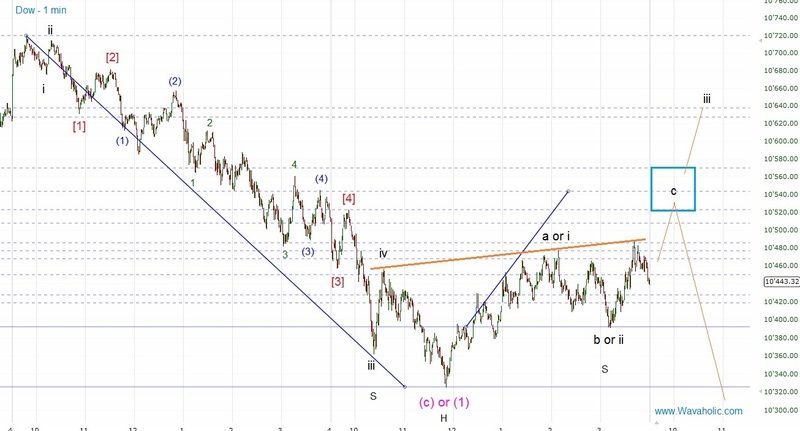 In that area c of (ii) equals a of (ii), so that's the likely target for a second wave. If it rallies more this may be the start of wave [iii] up. The bulls have to clear some strong resistances first though.